What is technical analysis, what are the main tools, and how is it relevant to Forex trading? That’s what we’ll be covering in this short introduction. Most traders agree that Forex is a market in which technicals are highly influential. We know that fundamentals drive the long-term directions in foreign exchange rates. In the short-term however, especially in the absence of economic data, technicals rule. Technical analysis is based on price action – the dynamics between buyers and sellers, supply and demand. Why is forex such a technical market? Unlike bonds and stocks say, there are few valuation models that can reliably predict the value of one currency against another. There are simply too many complexities involved in trying to model macroeconomic and political influences. With floating exchange rates, the fair price is whatever the market says it is. This is one of the reasons that most short-term traders and day traders in forex rely heavily on charts and other technical signals. Technical analysts look at price charts and other data to try to predict future moves in the market. In the extreme, technicians don’t consider fair values or economic influences at all and believe that all known data is “already in the chart”. In practice though, most traders realize that they need to consider at least some basic fundamental analysis too. The majority of technical analysis is based on price behaviour over time. This is the idea that the dynamics between buyers and sellers, supply and demand cause price movements which, to some degree, can be predicted. As well as historical price data, technical analysts use data from other sources such as trade volumes, open interest (options and futures), and risk metrics to try and gauge market sentiment. The area of technical analysis that most people are familiar with is called charting. 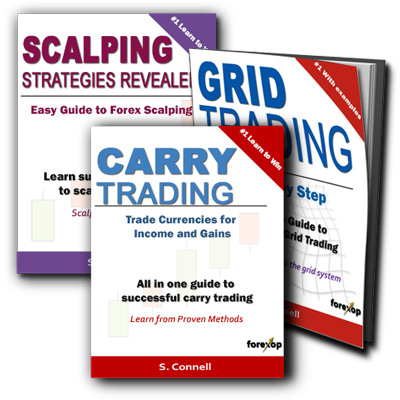 In Forex, traders of all experience levels use charts. One reason for their popularity is that these tools provide an objective viewpoint, rather than a subjective one. Their graphical representation makes them easily understood and accessible. They also supposedly make for a more level playing field in that, unlike fundamental analysis, technical traders have the same information available to them as everyone else at the same time. Nearly every trader at some point will use chart indicators such as moving average lines, MACD, Bollinger Bands and others. Most indicators – such as moving averages – are fairly simple and have an obvious interpretation. Others like Ichimoku are very complex and require a detailed understanding of the outputs and their meanings. Trading strategies can be formulated around a particular indicator. Triple EMA for example is a strategy that uses moving averages, while breakout systems often use range predictors such as the Bollinger bands. One thing that makes indicators useful is that they can create objective market entry and exit points. Software systems can analyze price data much more readily than say a news release. This makes indicators useful as inputs to algorithmic trading systems. In addition to these there are also harmonic patterns. Unlike regular chart patterns, harmonic patterns need to confirm to certain ratios before they are considered valid signals. Each pattern will typically identify with a probable market behaviour. For example, a bearish reversal, a bullish reversals, or price continuation. Some patterns, like harmonics go further and try to predict the next series of breakouts and reversals. These factors can be useful for placing trade entry and exit points. For those who like to look at price action at a more fundamental level, candlestick trading is the obvious choice. 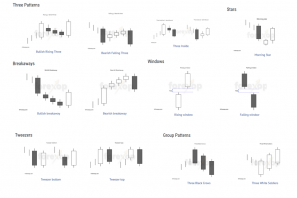 Like pattern trading, candlestick traders use a library of common candlestick patterns to try to locate known patterns and determine market sentiment. Most trading platforms offer at least the basic chart tools. Metatrader has a good selection of built in chart tools and indicators. It’s also extendible in that you can import new ones and even create your own to extend the basic capabilities. Technical analysis is a very big topic in its own right. For more details follow the links below. Test yourself on the basics of inflation with this short quiz.